Rebecca enjoys adorning her home with country decor, supporting her husband's duck hunting and fishing adventures, and graphic design. A fan of Smith & Edwards since she was a kid, Rebecca helps build the Smith & Edwards Web Store. 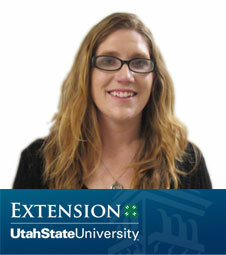 I had the pleasure of talking with Alicia Teuscher, an Extension Educator with the Utah State University 4-H Program. 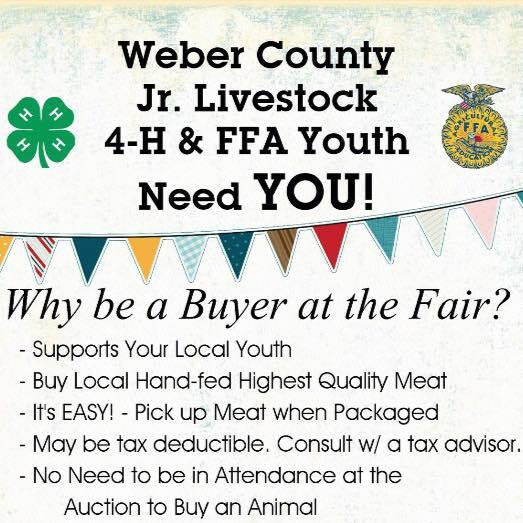 The Weber County 4-H program has many different departments, but the main program that people think of when working with 4-H programs is the livestock department. Beginning with Clover Bud, at age 5 to 8 children can participate in some activities at a basic level. There are livestock showing opportunities for Clover Buds, which helps participants build confidence in themselves as they move to the 4-H club when they reach 8 years old. From Clover Buds, youth work their way up to the state level as they become involved in 4-H programs in high school. 4-H members can become an officer at state level and even participate in national conferences as well. As you build confidence in showing your livestock, you build confidence in yourself and become more responsible. Building a skill level always takes time and patience, but the reward of being able to show your hard work is what makes the livestock department so important. 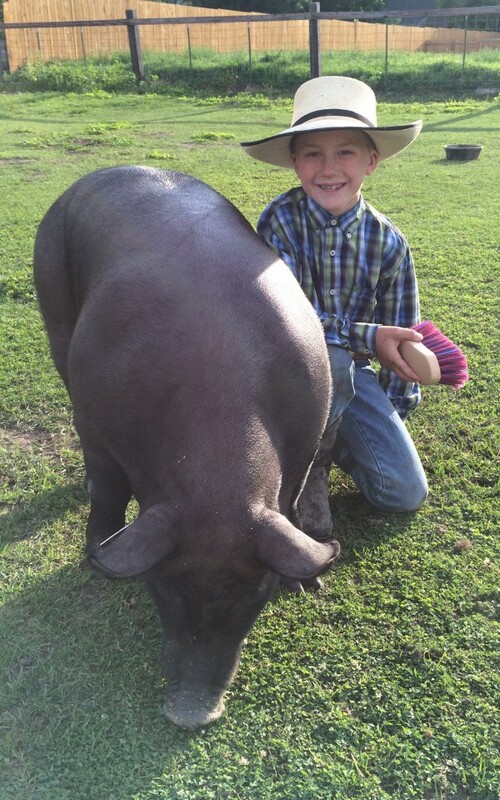 Kennedy Douglas with her hog. 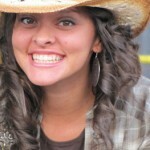 Kennedy won Reserve Senior Class Showmanship at the Weber County Fair – congrats Kennedy! One of the big benefits of doing livestock is learning to take care of animals. There’s so much you can learn as far as grooming, feeding, fitting – and having the proper shelter as well. There is a lot of responsibility with raising livestock, because you clean up after them and make sure that their habitat is taken care of & uncluttered so your animal stays safe. As you gain confidence, you learn how to train your animal. Wells Thompson walking his hog. 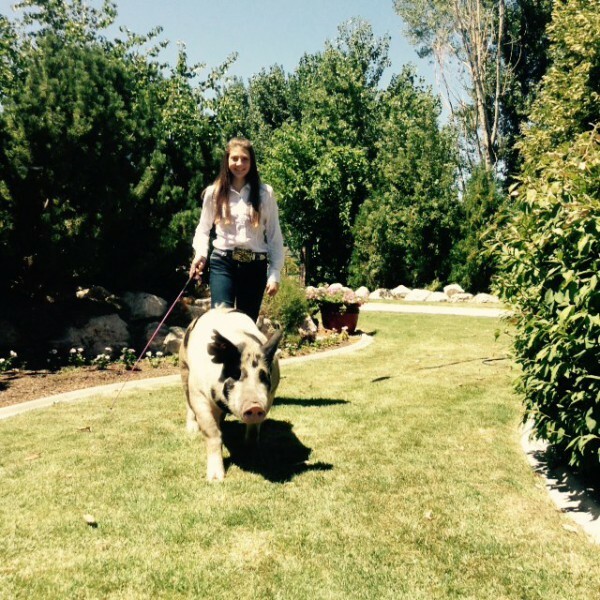 Wells raised the Grand Champion hog at the Cache County fair last year! Training is important and taking the time to prepare and show your animal. Being able to lead the animal, set up the legs, and keep the animal between you and the judge at all times are key elements to showing your livestock. Tip: Keeping eye contact with the judge is very important to showmanship. Preparing your animals for the show takes a lot of time. 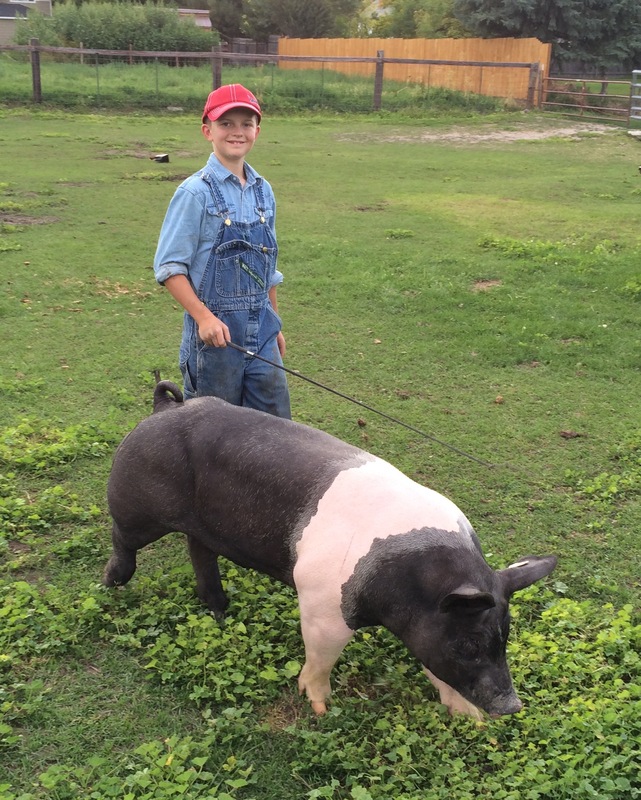 A child works with their animal for months before the show: weighing and charting, walking, and grooming their animal as it grows. 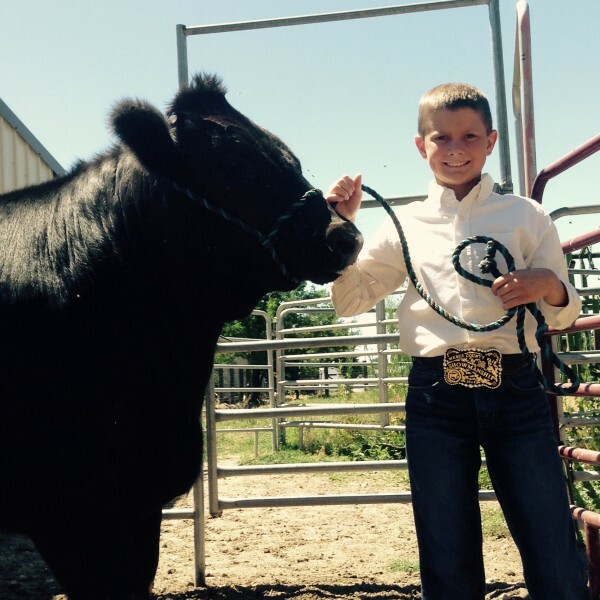 Luckily, there’s a lot of support and resources to guide 4-H members with their steer, lamb, or hog. Then in the summer, it’s time to get ready for the big event. Fitting, as it is called, requires you to shear your livestock right before a show. You’ll also trim the hooves and wash them with specific soap that is safe for them. You learn how to scrub and wash your animal; for example, in between the hooves and under their belly and legs. You can also learn how to shear your animal: this is an important skill because shears are sharp, and the animal can be cut easily. “The biggest thing is to practice, so it becomes second nature. With lambs you use a halter that helps them to be able to lead and set up for a show,” Alicia advised. Getting into the program is simple! There are offices you can call to get involved in, and even as an adult you can sign up as a volunteer. If you have several children interested, you can sign up as a family group. There are so many different resources and clinics that help you become involved and learn more about your livestock and the proper ways to show and train your livestock. If you are in Weber County, reach out to Alicia’s office at 801-399-8206 or WeberCounty4-H.org to get your son or daughter involved. You can also find Utah State University Extension on Facebook! 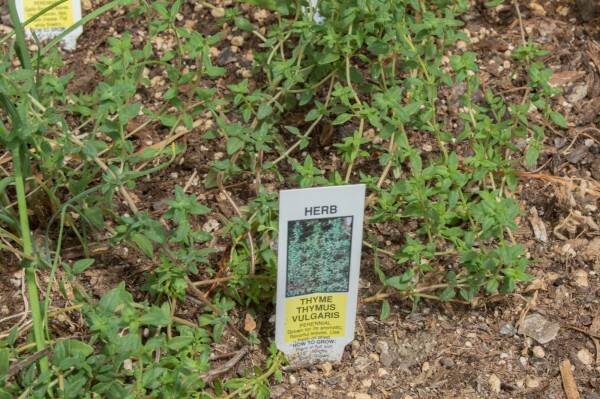 Have Herbs? Dry & Preserve in Mason Jar Herb Shakers! The best part of having your own garden is harvesting your own vegetables, fruits, and herbs. Drying herbs is simple, and with your own herb garden you can have the comfort of fresh and organic herbs and spices at your fingertips. The early summer months of May and June is the best time to head over to your local nursery, and you can find an abundant supply of different herbs and spices to choose from. Some popular choices that do really well in the ground as well as in raised beds, are cilantro, thyme, basil, and chives. The process is easy: harvest the herbs before they flower and the best time is early morning before the sun hits them. Be sure to give yourself plenty of time to finish the process, because it’s best if you start to prep your herbs for drying when you first pick them. Make sure you wash gently and drain excess water, then tie a rubber band around the bottom with the herbs leaves facing down. Then hang in a moisture free area. It’s that simple! If you prefer, place the herbs on a mesh screen in a food dehydrator and let it run. This is a great method for parsley and chives: Cut the herbs with kitchen scissors, then let dry on a screen tray. My favorite part is crushing the herbs with a mortar and pestle! 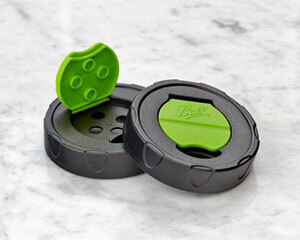 I love these Ball Mason jar herb shaker caps – so useful and super-affordable! I love these shaker lids for regular Mason jars that you can personalize and put your homegrown spices and herbs in! They work great for pretty jam & jelly jars as well as the pint & a half size Mason jars. You can even work on your biggest regular-mouth Mason jars. They have nice big holes so you can shake out sprinkles and sugar spots as well as your favorite herbs and spices. Even mini chocolate chips! Mmm! Add a label and you’re set! See more Mason Jar lids & drinking mugs here. Click here to see Canning jars, too. 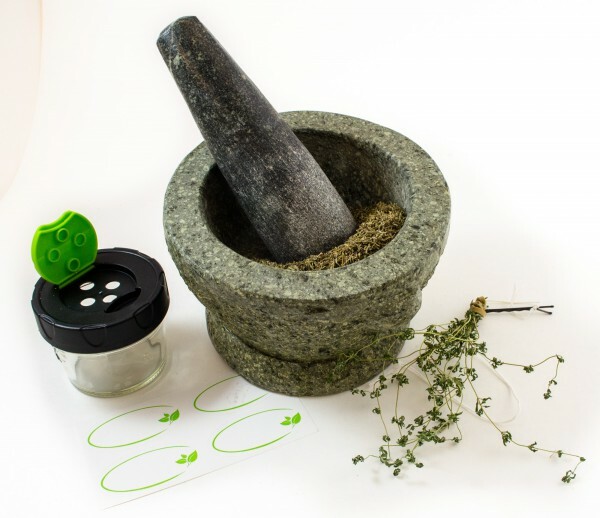 Put a label on your herb shaker and you’re set! Help Us Grow! Share this tip on Pinterest! 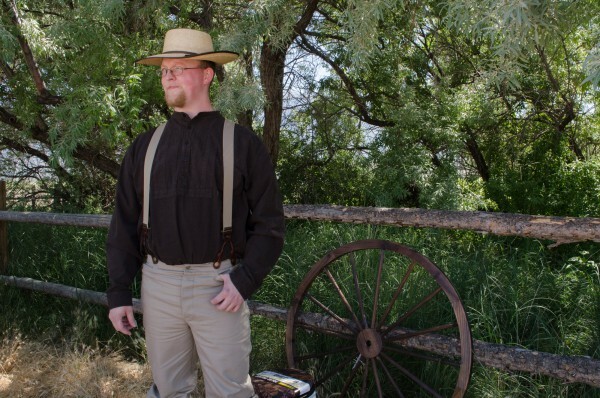 The Pioneer Trek has become a popular activity for LDS church members. 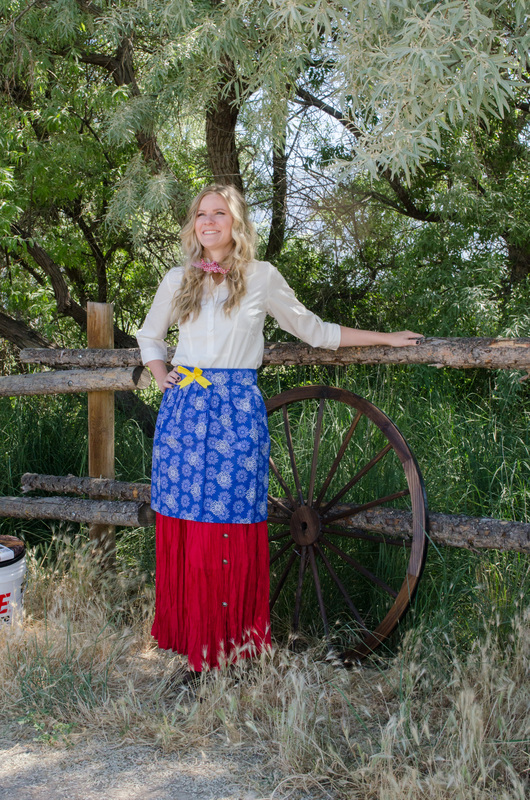 It's an opportunity to experience a little bit of the life lived by the Utah pioneers. 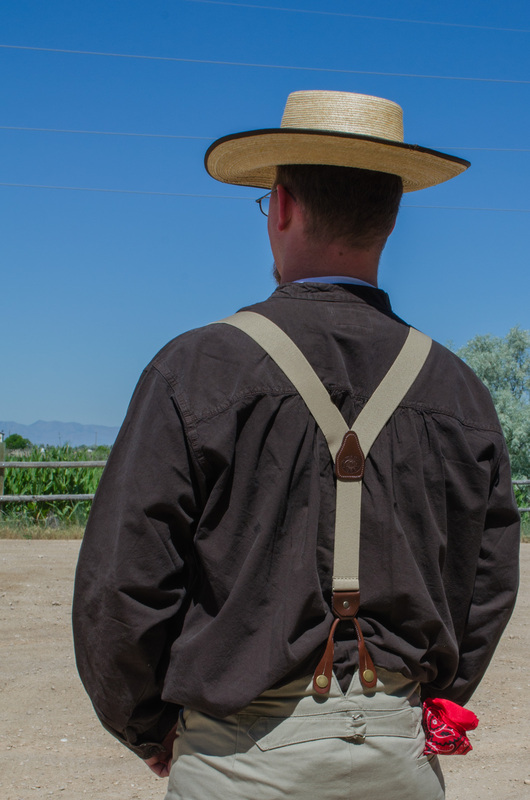 It is a way for them to learn and experience a little part of the challenges and sacrifices they faced as they made their way across the plains of America in search for religious freedom. The trek is an opportunity to travel back in time and let go of everyday comforts and modern technology. Cell phones, cars, and cable are left at home and are replaced with handcarts, face-to-face conversation, and the great outdoors. 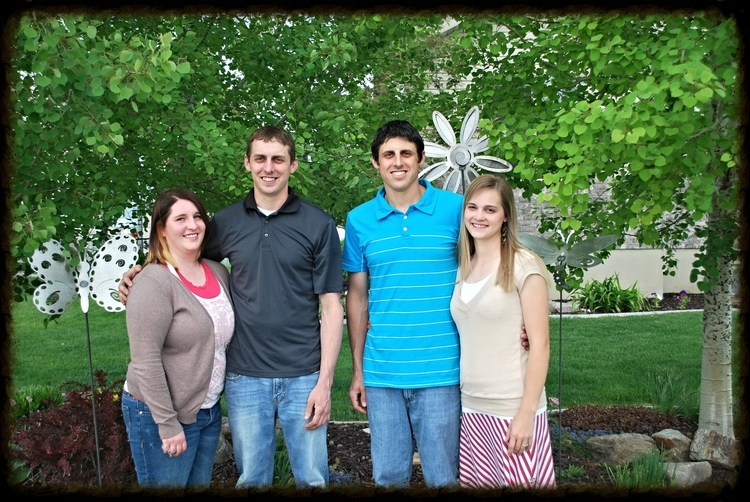 When you start your trek you are placed into a family that consists of a ma, pa, and siblings. The group is about ten people to a handcart as they travel up to 13 miles a day. Looking for a packing list to replace your misplaced list? Check out our Trek Packing List! 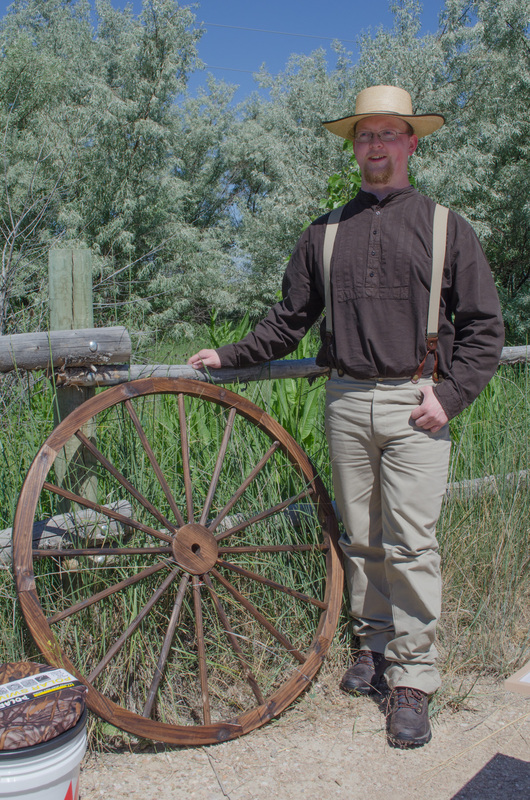 A pioneer trek typically lasts for four days and travels through about 28 miles of rough terrain. As a participant of the trek you must be at least 14 years old and up to 18. Being physically prepared is also very important: get out and walk for at least 60 minutes a day at least two weeks before the trek. Many activities are planned out as part of the pioneer experience: square dancing, spiritual meeting, and personal stories and history of the pioneers. 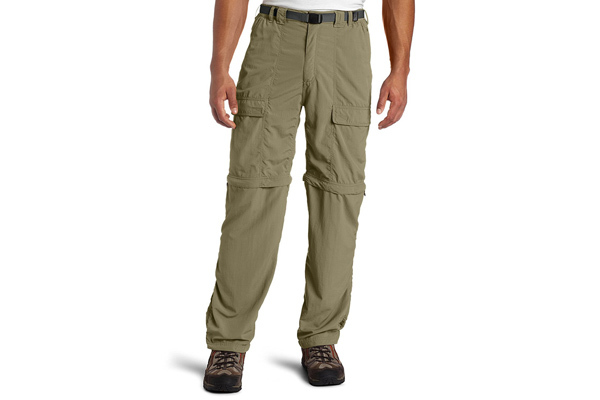 What do you Wear for Trek? 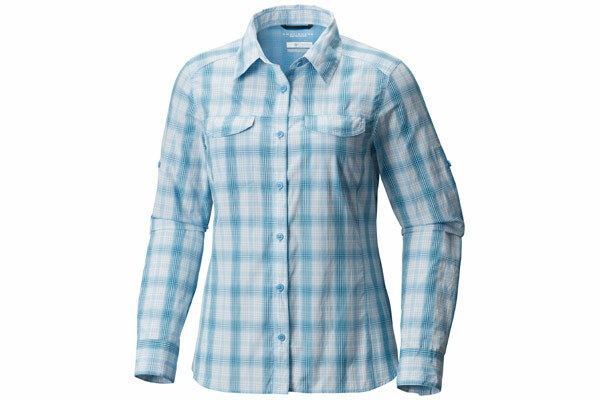 To fully appreciate and experience the pioneer trek, the clothing you wear will reflect those of a pioneer. 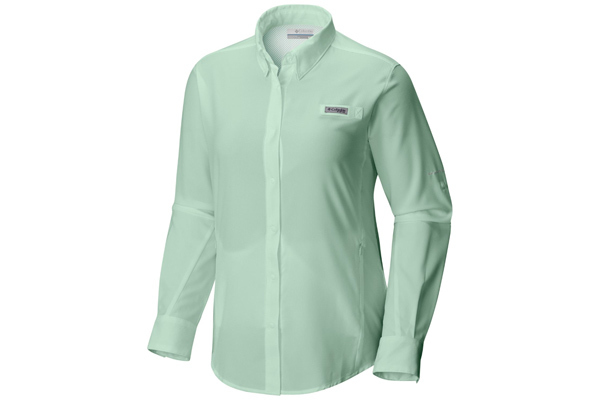 LDS trek clothing can be a bit of a challenge, but our crew has been helping folks find the perfect outfit for several years - we'll help you find the right pieces. For women, broomstick skirts are an appropriate and cool piece of clothing. 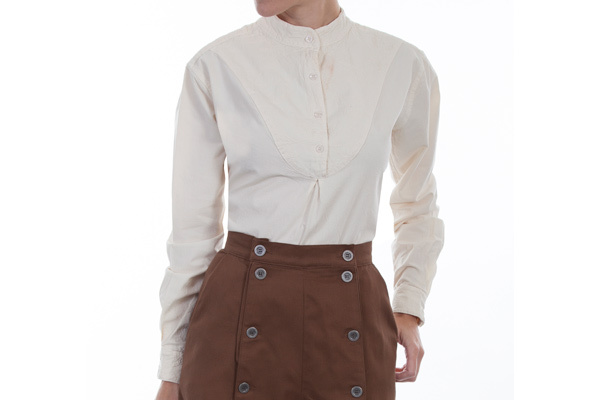 We've got this broomstick skirt in several colors! 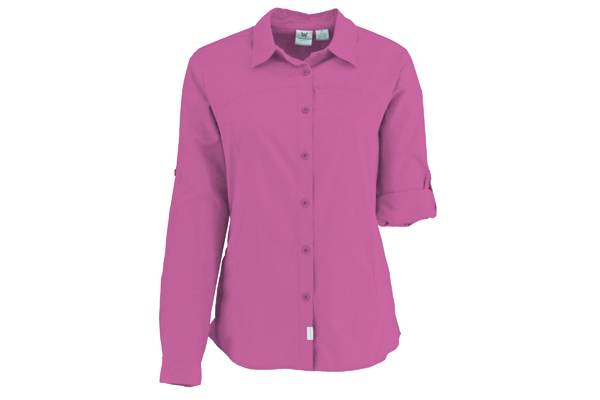 They wash easy, and they look best wrinkled - no ironing needed. 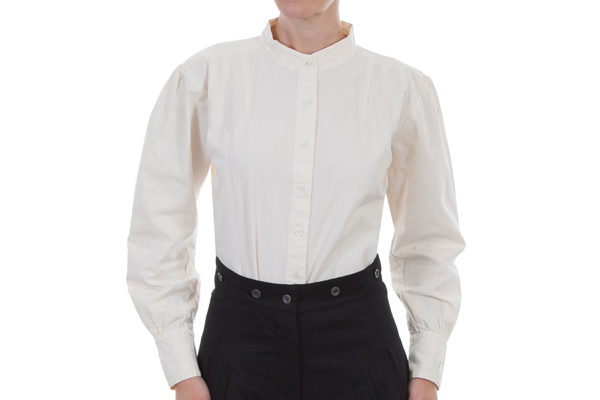 We added an apron over the skirt which is handy for pockets and keeping your skirt clean. 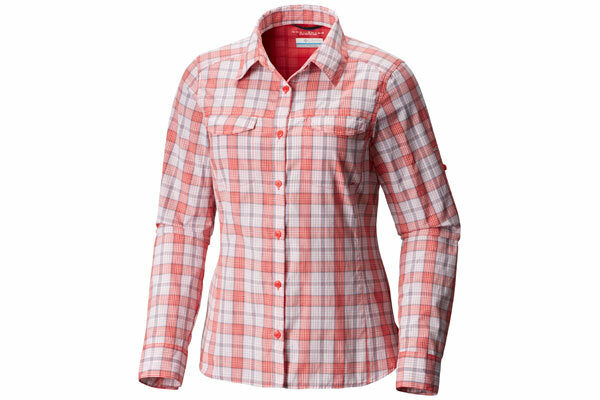 You'll want check out our selection of women's hiking tops. 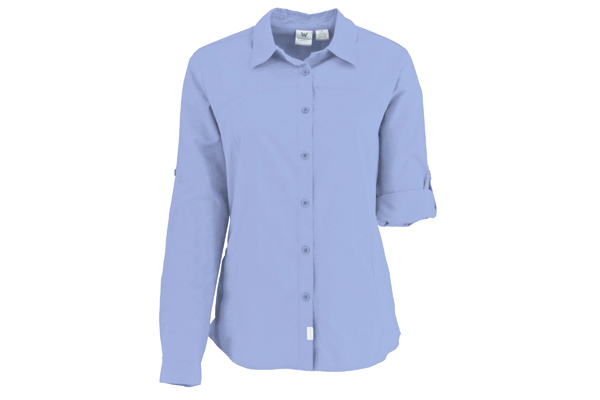 The lightweight blouses will keep you cool and their button-down design will allow for multiple purposes. 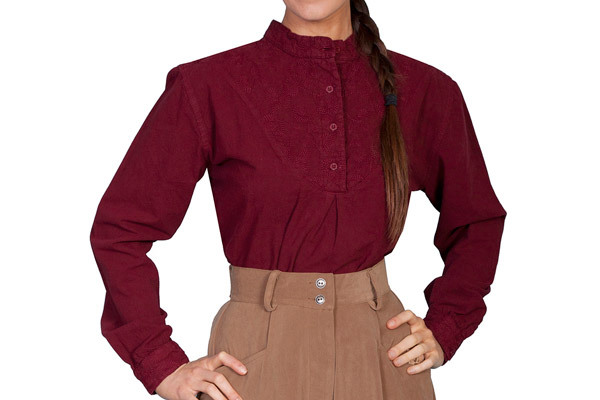 Looking to be more period specific for trek? No problem! 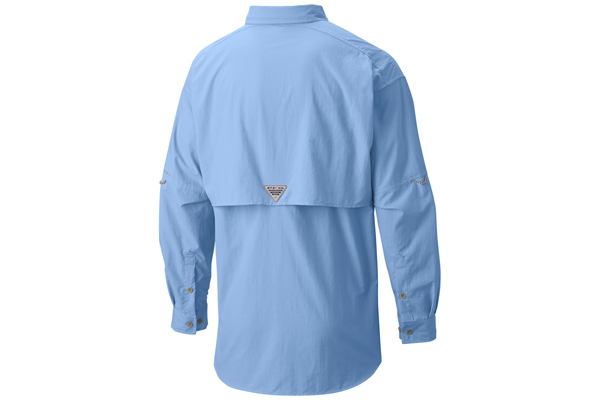 We also carry these great pullover options in the Scully brand. 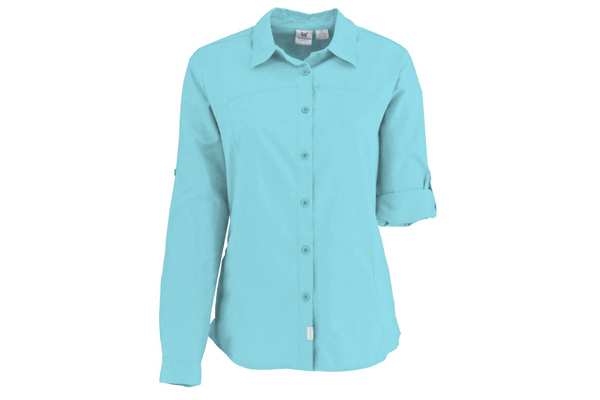 These 100% cotton blouses are durable and hard-working yet feminine and fashionable. 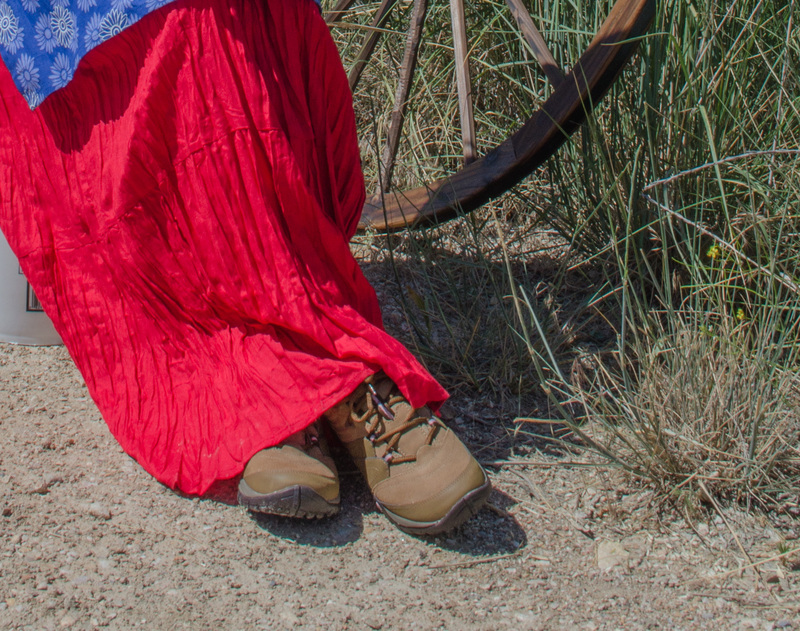 Many stakes and wards suggest taking a pair of good hiking boots, like these Merrells. You'll definitely need a good pair that you've broken in. There's nothing worse than hiking and blisters. If you do get a blister or two then you'll want to have some moleskin with you. 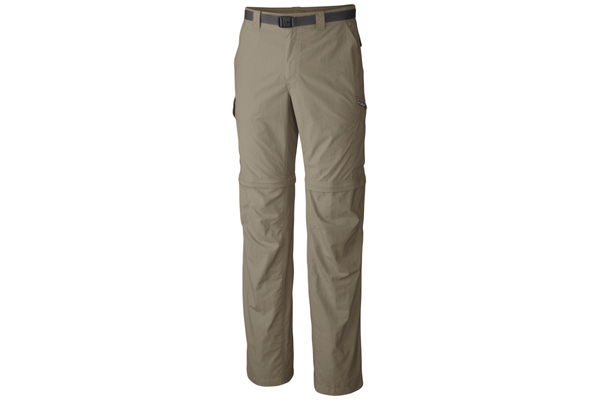 We carry Dr. Scholl's and Adventure Medical Kits brands. Add a bonnet for some shade and to help keep you cool. 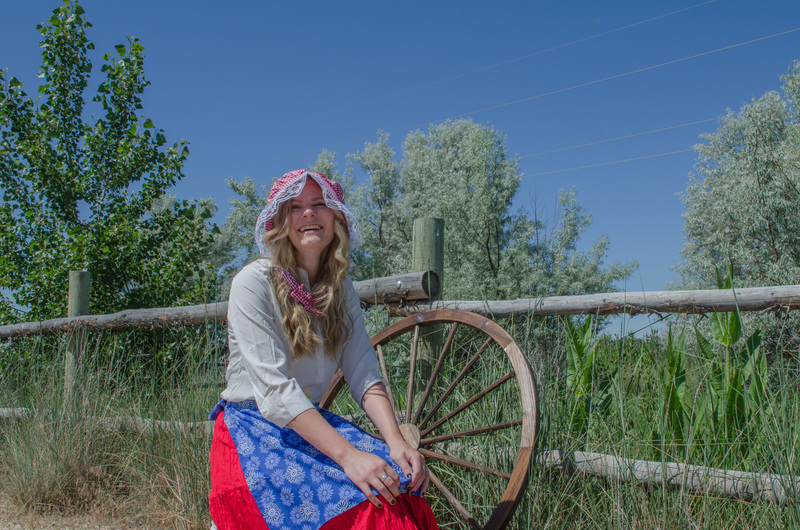 You can get this red gingham bonnet in-store or online. For a traditional men's look, turn to the Scully brand. It's got all you need for the traditional pioneer appearance. 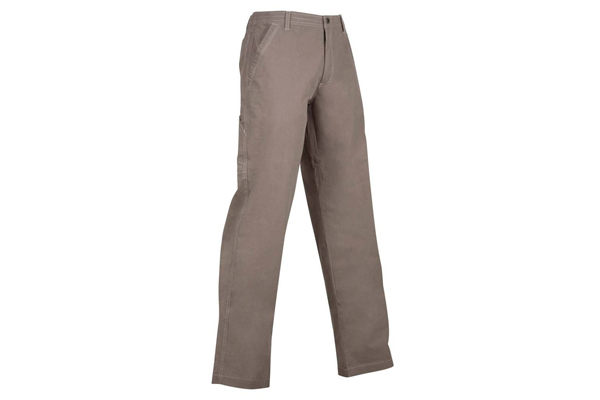 These pants have suspender buttons built-in so you can walk comfortably, and these pullover shirts look great as well. 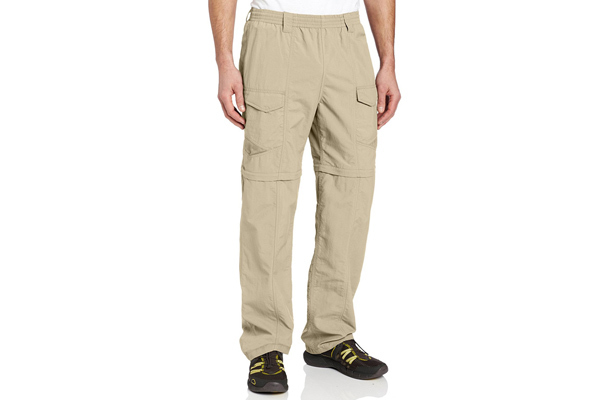 For a more modern approach (and the promise of wearing your clothes after trek) you can check out these great products! 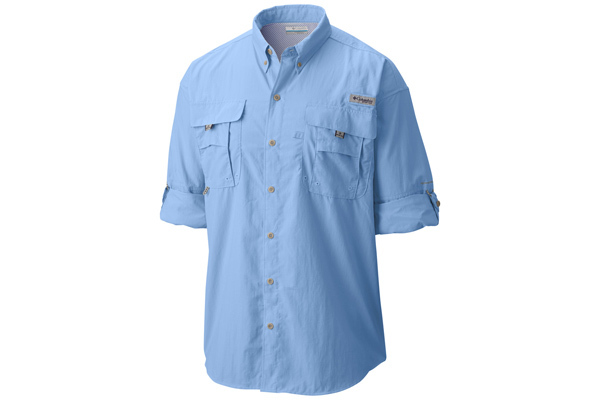 Columbia, White Sierra, Stillwater Supply Co. and American Outback are great, lightweight options. 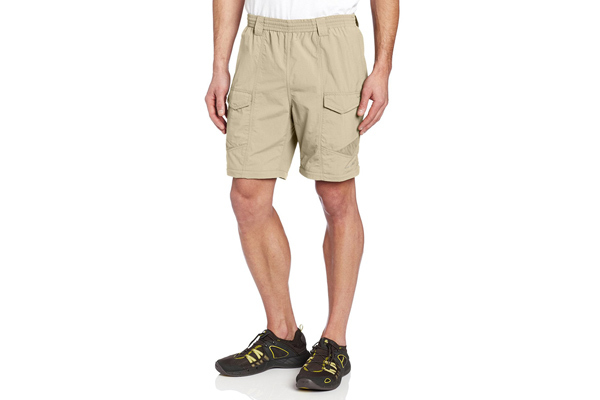 They'll keep ya cool and dry and many of the pant styles are convertible into shorts! You'll wear these items over and over for many adventures to come. Don't forget those hiking boots! 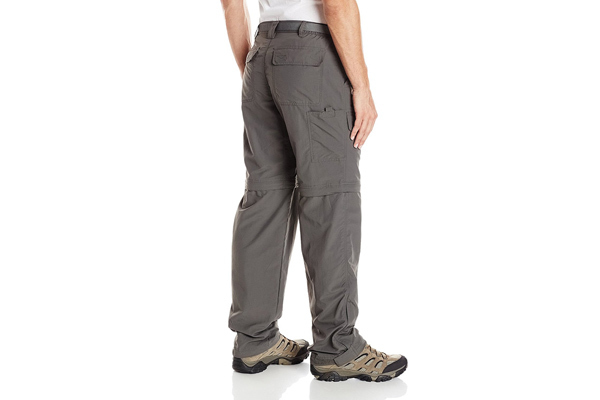 You can't go wrong with Merrell, but we also carry other leading brands like Danner, Columbia and Hi-Tec. Keep a silk wild rag close to keep yourself cool in the summer heat. A Sunbody palm-leaf hat is a smart way to keep cool and keep your skin safe. You can wear a wide-brimmed palm leaf hat right off the shelf, or use a steamer to shape the hat in any way you like. Get a Sunbody hat online here. What Else do I Bring? Every stake and ward have different packing lists of what they want you to bring to the trek. Typically you're asked to bring a bucket that holds your supplies. 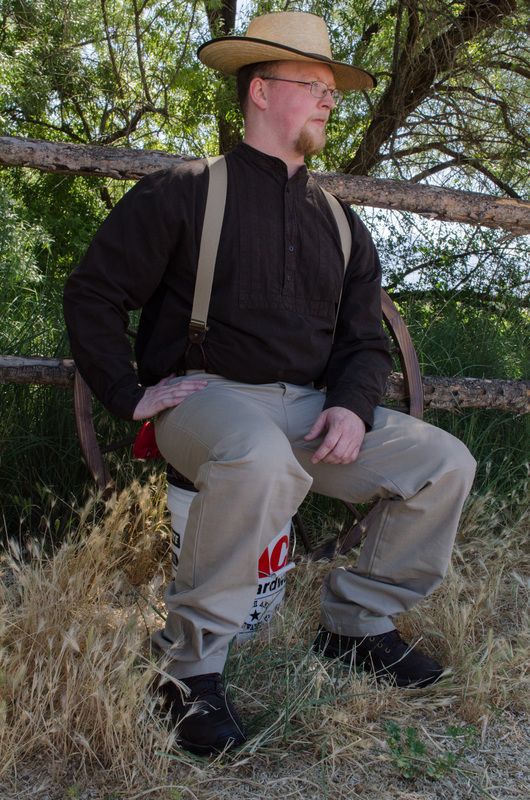 These ice fishing bucket seats have been popular here in the store for people going on Trek. 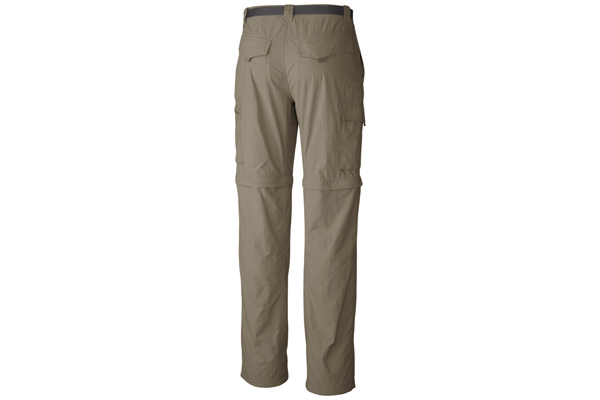 They fit on both 5-gallon and 6-gallons and provide some much-appreciated cushioning. Find everything you need all in one place as you shop for your trek at Smith & Edwards! 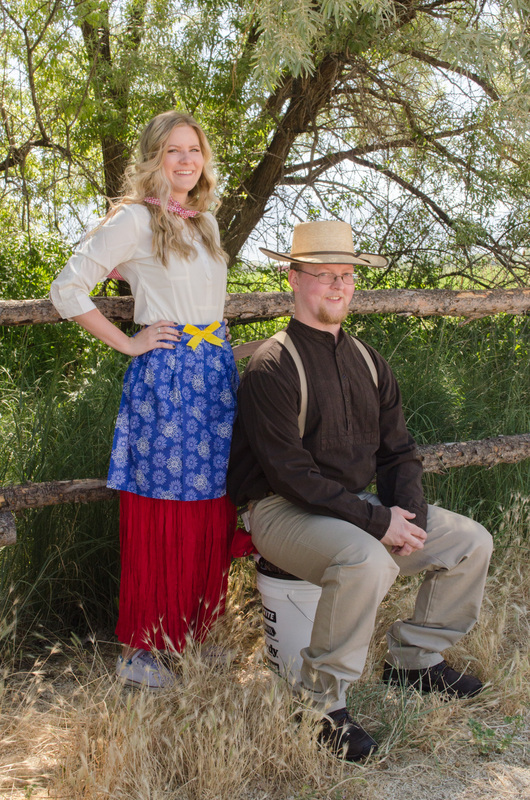 More information on your pioneer trek can be found on your ward or stake's Facebook page. 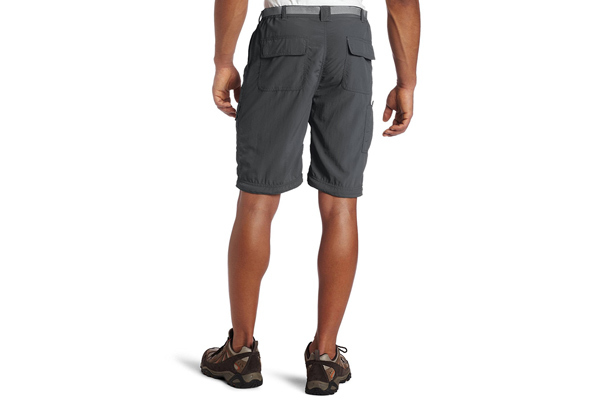 View our Trek Packing List for ideas on what you can collect at Smith & Edwards. You can view the ultimate guide by visiting LDS Living's Ultimate Guide to Trek. 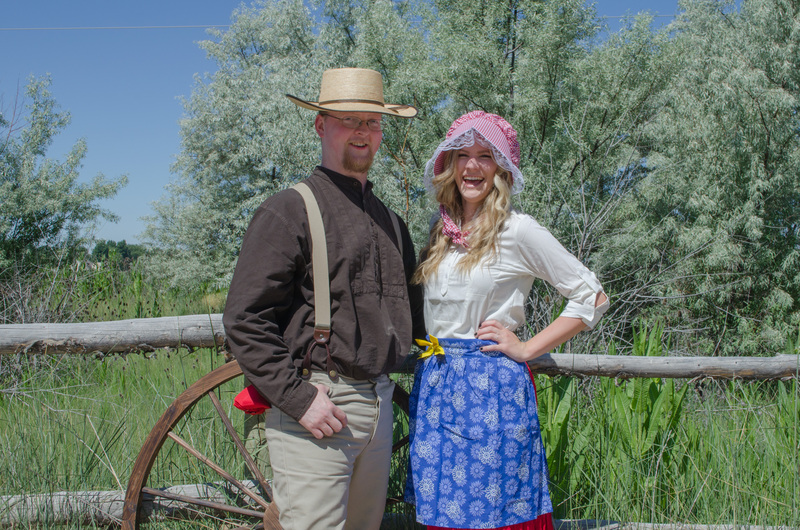 Special thanks to Kelsey from our Clothing Department and Tom from Western for modeling these great outfits! Over 120 Brand Name Smith and Edwards Spices! 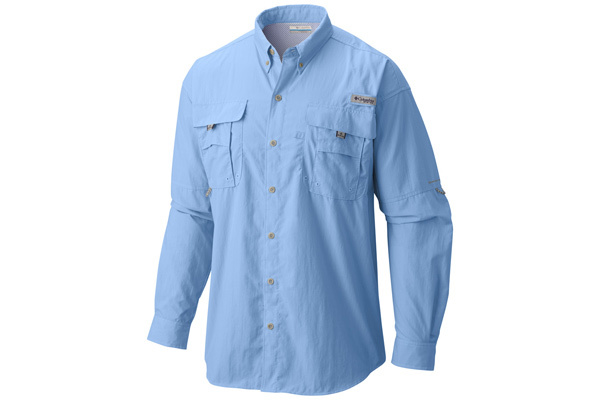 Smith and Edwards has everything you need, if we can find it. 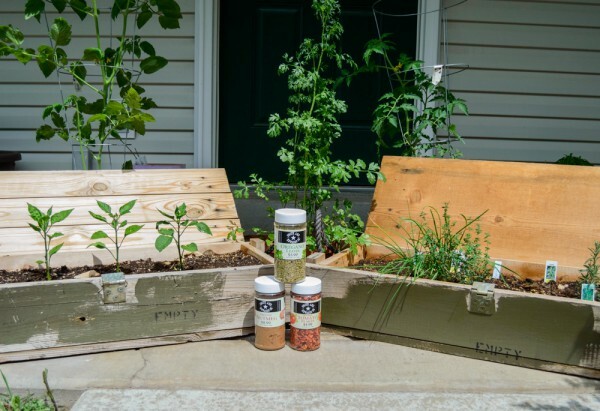 Why not have our own line of affordable spices, seasonings, rubs, herbs, and air dried vegetables? 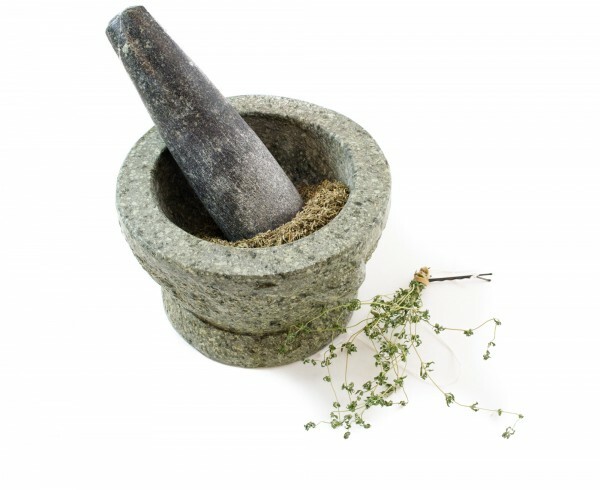 From the freshest ingredients comes over 120 spices that are must haves for your kitchen. A few of the Smith and Edwards line up. Oregano, nutmeg, and tomato flakes! You’ll find new ways to use these spices following our Pinterest board, For Your Kitchen. New recipes are added weekly! You’ll find all the spices by clicking this link here. 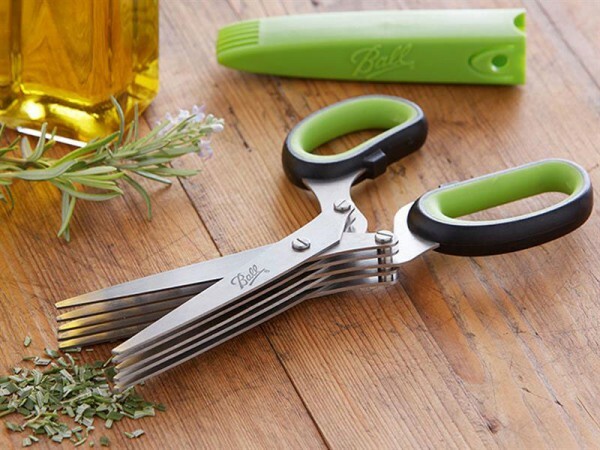 You’ll find more ideas for your kitchen by visiting our kitchen and housewares section on our website! I love my raised garden! Click to find these vintage ammo boxes and make them your own too! Spring is all about getting out and enjoying the beauty of the outdoors. 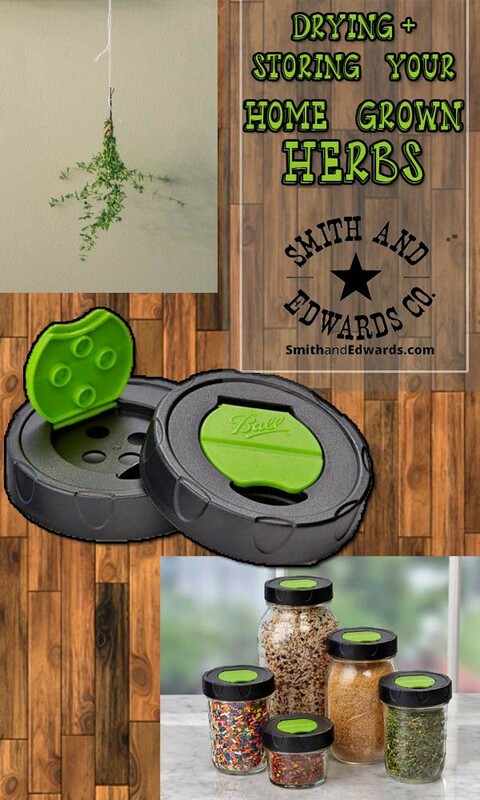 Smith and Edwards has fresh flowers, planters, and garden accessories that will help you create that perfect outdoor haven. 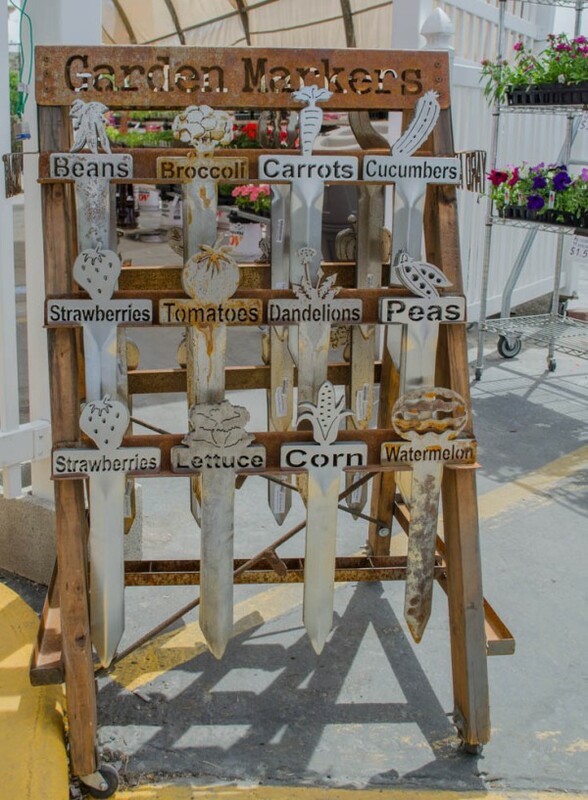 You can find the perfect way to organize your beautiful garden with Burnett Metal Art garden markers – made right here in Utah! An amazing line of garden markers! Burnett Metal Art is a Utah based company out of Garland. The Burnetts have found that being a Utah-based company has brought in a lot of business because the people are great to work with, and Utah is a great state for small businesses. The Burnett family has owned and operated this welding and fabrication business for over 100 years! After purchasing their CNC plasma table in 2011, Brody and Weston Burnett, two of the sons, and their wives, Kara and Trista, started Burnett Metal Art. Daughter Tristin (Burnett) Lindsay is head designer for product development. I had the pleasure of talking to Tristin and ask her a few questions about the company. Q. What inspired your family to create this business? A. One of our big inspirations came from our mother, Susan. She has collected all varieties of nativity scenes throughout her life. She wanted us to design and cut her one from metal. She has helped us design a few of our nativities as well. We now have about 13-15 nativities designed and we have plans to have 50 designed and available in the next 2 years. Q. What drives you in your business? A. Our motivation comes from when our customers get excited about new products we design and produce. We get satisfaction out of seeing our products displayed in yards when we drive down roads and even go out of our small town and see our products in yards or on houses in other areas! Our motivation also comes from being able to design things that we would like in our own homes and yards and being able to use them ourselves. We are also motivated and determined to make Burnett Metal Art as successful as our welding business has been. Q. How big is your company? Have you or are you thinking about growing across America? A. We currently have 8 employees. The company started with just a few products and now has nearly 100 products and is sold in over 12 locations in Utah, as well as online. We have the desire and a plan in place to start Burnett Metal Art spreading across America. We are working with different retail outlets to expand our reach outside of Utah. Q. What are your most popular items? Any customer favorites? A. Our most popular items are our yard art and garden markers. We also sell a lot of our nativity scenes as well. Our customer favorites are our garden markers and yard art as well. We are hoping that our Holiday line will be just as big with our customer base. Q. 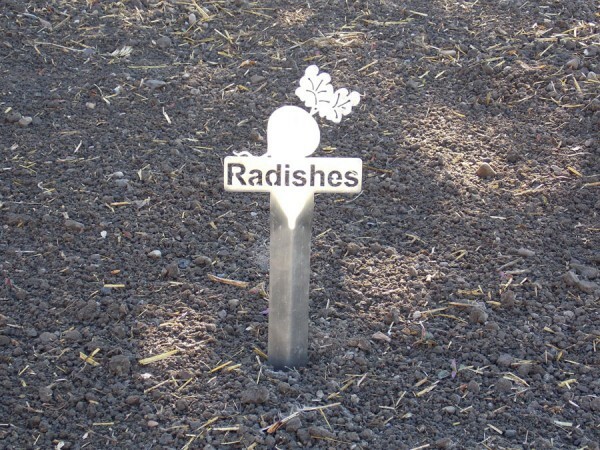 Why do customers love your garden markers? A. Our products are built to last. We make each one durable and long lasting. They are a unique product to enhance your home or garden. We can also customize any product to make it unique and specific to your taste. Q. What makes Burnett Metal Art unique? A. Our company is unique because it is a family owned business. It started with our father working at the welding shop, then going to owner, and now 4 siblings are working here as well. Q. Is there any history or background that makes your company what it is? A. The business was originally a blacksmith shop that started over 100 years ago and has progressed to a Welding and Fabrication Shop. Now we have added the Metal Art business as well! Q. What is your favorite product to sell – or is there a product in the future that you are going to add to your already creative collection? A. We love selling our garden stuff the most. We have plans of adding decorative metal furniture to our collection. It was amazing to be able to talk and find out more about these garden and yard markers that are made right here in the U.S.A. – thanks, Tristin! Smith & Edwards loves featuring small businesses like Burnett Metal Art – especially family-owned businesses based in Utah, just like us. These fun metal garden markers make great additions to your garden and outdoor decorations! You can find these cute garden markers by clicking here.